Frequent flyers know: organization is the key to packing for travel. Reflecting the philosophy that "there's a place for everything and everything should be in its place," the luggage from Genius Pack does the thinking for you, and all you need to do is pack. The High Altitude Flight Bag stores all your in-flight necessities and keeps them at arm’s reach. It slips over the handle of your carry on and even wraps around the plane’s tray table—your passport, charger, tablet, magazines and more stay accessible and organized. And the Carry On is also a convenient, must-have companion. Need to charge your phone? There's a battery pack stored in your carry on. Want to keep dirty clothes away from clean? There’s a separate compartment for them, with a Laundry Compression feature that presses all the air out, leaving you more room. An integrated toiletry bag, umbrella, water bottle storage, and even a last minute checklist are all included, too. Hi, I'm Alfred from Genius Pack. Our patent-pending luggage designs take all of the hassle out of travel. With these bags, you'll have everything you need right at your fingertips, and actually be excited to pack. Please let me know if I can answer any questions for you. @Alfred my husband is a road warrior, but he has the carry-on situation down to a science. When might you have luggage for an extended stay? That's where he would love the organization of a Genius Pack bag. @BECKY Hi Becky! We have a larger 30" Genius Pack luggage for check-in, but it isn't featured here on the Grommet sale. @Alfred How can we get information on the 30" Genius Pack luggage piece? At about 0:24 seconds into the video, I see what looks like a J-hook on the exterior of the bag. What's it's purpose? It seems rather low to hang a companion bag from. Also, from the video, I can't seem to tell the intended purposes of all the interior zippered compartments, can you detail them? Is the the toiletry bag removable or do all those zippered compartments detach? I assume no umbrella actually comes WITH the bag? I can't quite tell how you put the dirty clothes INTO the compression system. Does it just zipper open? Is the22" length inclusive or exclusive of the wheels? Thanks for your time in answering these questions! -The "J Hook" is a unique Jacket Strap to conveniently store and hug your jacket as you glide through the airport. - The umbrella is not included with the bag, it is a sold-separate accessory, which isn't available here in this Grommet sale. -The Laundry Compression Technology is a unique functionality that has a side access zip pocket to dispose unclean clothing into (as if it's a laundry-chute) and then you can compress the contents by expelling the unwanted air through an integrated air-valve. The laundry compartment is also removable so you can take it straight to the laundromat upon arrival. 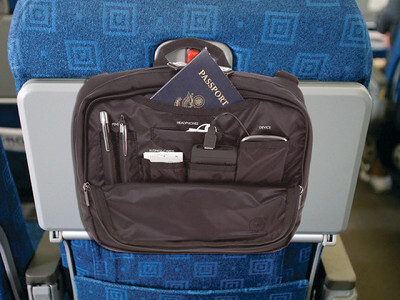 -The toiletry kit is included with the Carry On, and it is removable from interior panel. -The organizational compartments is enable you to pack extremely organized and pack each category in it's designated spot. Can I buy only the 22" carry on without the mobile charger? @Guest Hi! The sale here only has the option of the bundle of the Carry On + Mobile Charger. What is the weight of the empty bag? @Guest Hey! It weighs 8.6 lbs when empty. I really like these, and I have a feeling it's going to be a wonderful Holiday season. Does it have a computer compartment? @Carolyn Hi Carolyn! No unfortunately, it does not have a laptop compartment, but a different product of our collection called The Entrepreneur, has a laptop compartment, and also slides on top of the trolley handle of our Carry On bag. Is the large front pocket for you iPad or computer? @Guest Hi! Are you referring to the Carry On Luggage product or the High Altitude Flight Bag? Alfred, why is this ONLY in black? Don't you guys have a color wheel???????? Most women do not like black!! @Nancy Lee Give him a break! @Guest Hi Nancy,the 22" carry on is only offered in black as of now, but since this has been one of our most popular items we are planning to release color options. Hi Alfred! 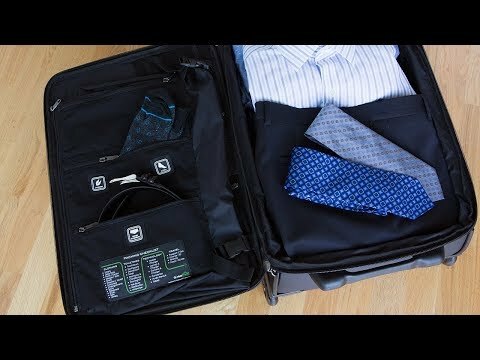 I bought the 22" Carry On for my husband and he loves it and shows off it's features regularly. He's used it so frequently that he needs replacement wheels. We live in a location with one luggage repair shop and the owner/operator is unfamiliar with the wheels for your luggage. Would you let me know how I might obtain replacement wheels? Thank you for your great products! Hello. Do airlines typically allow the High Altitude bag to stay strapped to the tray from getting on to getting off the plane, or only during the period after takeoff & before landing? Thanh you. 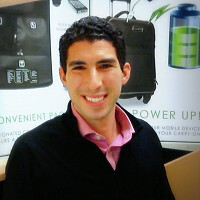 @Joanna -- I took the High Altitude Bag on a flight earlier this month, and was curious about the very same question. The flight attendants didn't question it, and I had it strapped on to the seat from the moment I boarded until I packed up to get off the plane. I was the very last person off the plane too, as I tried to take a few pictures to share on the site, and one of the flight attendants told me she thought the bag looked very cool -- a great problem solver she said! Frequent flyers know: organization is the key to packing for travel. Reflecting the philosophy that "there's a place for everything and everything should be in its place," the luggage from Genius Pack does the thinking for you, and all you need to do is pack. The High Altitude Flight Bag stores all your in-flight necessities and keeps them at arm’s reach. It slips over the handle of your carry on and even wraps around the plane’s tray table—your passport, charger, tablet, magazines and more stay accessible and organized.